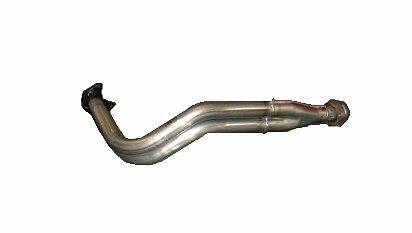 Stainless Steel exhaust system with a Lifetime guarantee. Utilizing the latest in materials technology using 16/18/20swg, T.304/409swg stainless steel and highly-skilled, qualified fabricators, enabling us to offer a 'lifetime guarantee' on all complete systems purchased. All systems are made to order in the UK with a quoted turnaround time of between 4 & 5 weeks. Individual sections are available for most systems. Please Contact us for details. Our policy is one of continuous improvement; and, we reserve the right to alter specification and price at any time.